I know people who’ve written books! You should know about them! 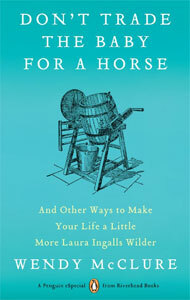 I reviewed Wendy’s book, The Wilder Life, last year and now she has a short follow-up called Don’t Trade the Baby for a Horse: And Other Ways to Make Your Life a Little More Laura Ingalls Wilder which is available in digital format only. I have no need for a baby or a horse, so I’d be willing to trade either one for their weight in rock candy. 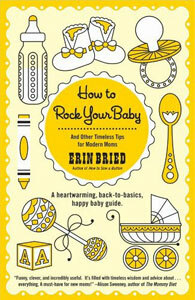 How to Rock Your Baby: And Other Timeless Tips for Modern Moms and comes after How to Sew a Button: And Other Nifty Things Your Grandmother Knew and How to Build a Fire: And Other Handy Things Your Grandfather Knew. Needless to say she knows how to do a lot more things than I do. This one’s not out yet, but I’m excited to tell you that you will be able to buy Stranger Here: How Weight-Loss Surgery Transformed My Body And Messed With My Head by Jen Larsen in January 2013. You might remember Jen from her Body of Work column on the now defunct site Elastic Waist or from her old blog Hello, I Am Fat, both of which she wrote under the pen name Anne Fitzgerald. She’s using her real name now and I’m so happy she found a publisher because back in 2009 we were book buddies when I was putting together Chocolate & Vicodin. I got an agent and then she got an agent. I finished my book proposal and then she finished her book proposal. I sent mine out to publishers and then she sent hers out to publishers. I got a book contract and then…well, the ellipsis say it all. It was kind of awful, actually. No, let me amend that. It was definitely awful, particularly because Jen is such a great author and I don’t think there is any book like hers out there. But she worked hard, wrote the book anyway, and the fine ladies at Seal Press snatched it up because they are awesome like that. So, yay! Go, Jen! I love getting book ideas! I actually bought The Wilder Life after your review. Thanks for the recommendations, I’ll check them out! Hi Jen~ ~just read your post and nearly fell over when i saw your mention of the book The Wilder Years and saw you had reviewed it! Spooky small world~ i am reading it right now! am just at the part where Wendy takes her solo journey. How cool is it that you guys are friends!! 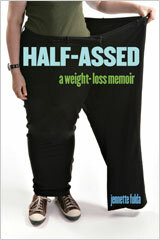 I LOVED HELLO I AM FAT. I could tell, then, that she was a fine, fine writer and I’m so happy she has a book coming out. YAY! Dude! People remember HELLO I AM FAT? That is awesome! And thank you so much, Kate! I hope you will like the book. And aw! Jennette! Thank you. I am proud to be your book much-younger-sibling. 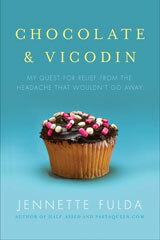 Thanks for the recommendation for Wendy McClure’s new ebook. I got it, read it, and loved it. I really enjoyed her Wilder life book and used it to help us decide to go to the Laura Wilder house in Missouri last summer on our vacation. And yes, it was a cool thing to do.